PTWF has organized this Christian theme to the Revi Karuna Karan Memorial Museum in Alleppey, India. An Israeli Jewish sculptor creates a Christian monument to be exhibited in India. 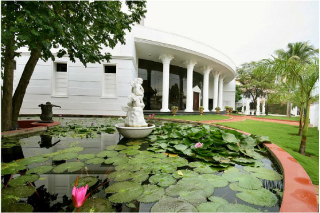 Revi Kauna Karan Memorial Museum in Alleppey India. This is a magnificent 1400 pound 7 foot bronze monument built in Israel by famed Israeli Sculptor Sam Philipe of a Christian theme placed in a Museum in a Hindu nation. 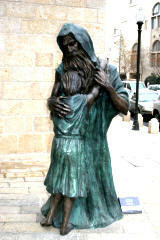 You are here: Home Projects Charity & Commemoration "The Prodigal Son" Sculpture by Sam Philipe of Israel.